Toss won by: Karachi Kings, elected to bat first. Batting: Colin Ingram 41 runs off 21 balls, Khurram Manzoor 35 off 39 balls. Bowling: Shane Watson 3/22 in 4 overs, JC Archer 2/30 in 4 overs. Target: 150 runs from 20 overs. Batting: Mohammad Nawaz 30 runs off 20 balls, Umar Amin 31 runs off 31 balls. Bowling:Imad Wasim 2/19 in 4 overs, TS Milss 2/27 in 4 overs. Result: Karachi Kings won by 19 runs. Karachi got to 149, a competitive total, because of Colin Ingram, whose 21-ball 41 injected momentum into what had been a stop-start innings up to that point. Karachi’s troubles were mainly due to Shane Watson’s canny bowling, which saw him pick up three scalps to reach 200 wickets in T20 cricket. At the half-way mark, Quetta might have fancied a relatively straightforward chase. Instead, Karachi unleashed their key bowlers and halted the chase in the Powerplay. Wasim took the new ball and conceded only three runs in the first over. This put pressure on the batsmen at the crease and soon wickets began to tumble. Karachi have dislodged Multan Sultans from the top of the table due to their superior net run-rate, while Quetta now languish at the bottom. 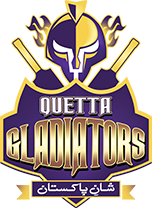 Quetta have an immediate shot at redemption as they take on Lahore Qalandars in the night game on Saturday. Karachi will next play defending champions Peshawar Zalmi on Sunday.